Starting a college or university in another state is an exciting experience, but th e paperwork can be overwhelming. Scholarship papers, admission forms, loan forms, and financial aid forms are a full-time job. Driving your car to another state is a time-consuming task, and it’s difficult to write and drive at the same time. (Please don’t.) Although a road trip sounds fun, the time you take away from college preparation tasks and packing could cost you in the long run. Shipping your car to another state with an auto transport company will save you time and money. You’ll also have a ride to scout your town’s new restaurants, book stores and parks. Using an auto transport company is easy, and we have several auto transport companies that can ship a car to your college town. Just like there were many factors that went into choosing the university or college of your choice, there are many factors that go into determining the cost of shipping a car to another state. We have an online shipping tool that makes it fast and easy for you to plug in your information and crank out some quotes. The price to ship your car to another state will be based on the weight of your car, the date you leave your car, the date you pick up your car, and the distance your car will have to be shipped. Be prepared, it may cost a couple thousand dollars, but you could easily gain back that money by filling out forms for an additional scholarship application. It may not be worth it to ship your car to college if you have a $500 clunker, but if you’re driving a decent Honda, Chevy, Ford or Toyota, shipping your car to college is a worthy investment. You’ll be saving wear and tear on your car, you’ll have more time with your family before you head off to college, and you’ll have more time to pack. (Although many college students still wait until the last minute to pack.) Once you get to college, you’ll be able to run out for forgotten items, grab some food, work a part-time job, take a jog at the park, and escape your roommates. You won’t waste time figuring out the bus system and standing at bus stops, and you won’t waste money on Taxis and Uber. Peak prices for shipping cars are in the summer months, particularly when college students start school. 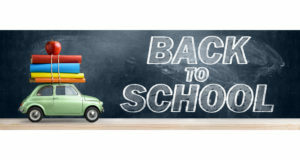 You can save a little money by having your car shipped after you start school. (After all, it’s going to take you some time to get acclimated to the new school building, classwork load and dorms if you’re living on campus.) Play around with the quote requests, and see if you can work out a later shipping date and a cheaper price. The cost to ship your car to college will also depend on the weather and the geographic location of your college. During the winter months, a lot of Northerners head South for the winter (), and the price of shipping a car can be higher heading south at that time, compared to the price of shipping a car to a northern college. We work with experienced auto carrier companies that serve popular colleges and university areas to ship cars to students and offer some of the best prices in the auto transport industry. Can You Ship to My College or University Town? College and university towns are busy places, and auto transport carriers aren’t always allowed on sides streets. You may need to arrange a pickup and drop-off place with the auto transport company, but they will advise you of the nearest pickup and drop off location before they ship your car to college. Should I use an Open Carrier or Enclosed Carrier to Ship My Car to College? A fancy luxury, classic or fancy sports car should be shipped in an enclosed carrier. Arrangements can be made for careful loading, low impact ramps, and soft tie-downs. Shipping an exotic car on an enclosed carrier is substantially more expensive than open carrier shipping. Open car carriers are cheaper to use than enclosed carriers. An open carrier is an auto transport truck that has racks to carry the cars and the cars are out in the open. You’ve probably seen open carriers on the highways driving new cars to dealerships. Using an open carrier to ship your car to college is a practical choice, and the weather exposure isn’t any worse than what it would be if you were driving. In fact, you’re saving wear and tear on your car by having it transported. An open carrier is a perfect way to ship a Chevy, Toyota, Ford or Honda off to college. Can I Stuff My Bedroom and Books in My Car Being Shipped? No. No matter how logical it may sound to just shove everything in your car and load it on the car carrier to have it shipped to your new college, it can cause big problems. Trucks are subject to stringent weight regulations by the Department of Transportation Federal Motor Carrier Safety Administration and federal laws. (If you’re headed to law school, check out Titles 49 CFR and Title 23 USC.) These weight restrictions keep our highways and bridges safe. (And the people driving the truck and passing the truck.) If the weight is off, they will have to investigate and there will be substantial delays. You could void your whole contract and be without a car. When you get a quote for shipping, the auto transport company will know the weight of your vehicle once they know the year, make and model. They add up the weight of the cars on the open carrier to determine the gross weight of the truck. The vehicle is weighed and inspected several times. If you’re REALLY struggling to find room for everything, you can probably get away with putting a couple pillows and a blanket in the trunk or your favorite stuffed animal in the trunk. The drivers are prohibited from going inside your trunk. Don’t put any items in the trunk that you must have right away, because traffic always leaves the potential open for delays. Do I Need to Buy Extra Insurance to Ship My Car to College? No. (But you can if you want to. Insurance companies love your money.) Auto transport companies have insurance policies in place for cargo and liability. (Your car is the cargo.) Rules and regulations are set in place by the Department of Transportation and the Federal Motor Carrier Safety Administration. Auto transport companies are usually insured between $750,000 and $5,000,000. The auto transport company is also bonded. It is rare for a large semi-truck like an auto carrier to get in an accident. Find an experienced car carrier auto transport company that ships to your college and can pick up your car near your home. Fill out the fast shipping quote form with your information. Make sure to have your car information and college location handy. Confirm the car carrier auto transport company has dates available convenient for you. Confirm the car carrier has pickup and drop off locations you can manage. Go to the Federal Motor Carrier Safety Administration (FMCSA) website and search for the auto transport company name. Make sure the carrier company is registered and insured and hasn’t been in an insane amount of accidents. Make plans with friends to help you, if needed. If everything the on the auto transport carrier’s form looks correct and you can pay for the shipping, sign away and finalize the deal. Take pictures of your car the day it goes out for shipping. Share them on Instagram. Say goodbye to your car (for now). Catch up on your college paperwork and packing. When your car arrives, take another picture of you and your car reunited. Post it on Instagram. If there’s any problems with the car, mention it to the driver and put your complaints in writing. Drive your car to college and start studying! The shipping form to get your car moved to college is a hundred times easier than a Financial Aid form. All you have to do to ship your car to college is fill out the shipping quote form, confirm the dates and places, get your car, and pay for the service. Cleaning out your car (and paying for the service) might be the biggest task. We know you’re sick of forms, but the shipping quote form is easy. Shipping your car to college will save you an immeasurable amount of time. Your parents will miss you. Spend time with them instead of driving cross-country. Have them look at the great shipping prices our car carriers have and show them how much it will cost to ship your car to college. Going to college is a smart decision, and shipping your car to save you time is just another way to improve your life. Stay smart. Keep learning, and ship your car with our auto transport service.